For the last few years, the paladares of Cuba have been trying to save the country from its stereotype of mediocre to bad food. La California, located in Central Havana, is doing its part by reintroducing the island to quality Italian dishes, especially their pizza. 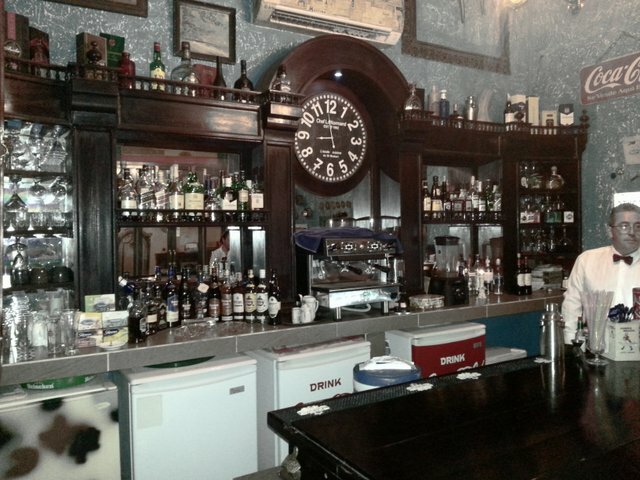 Private restaurants in Cuba like La California are so well put together that if you get out of a cab or tour bus at the front door and rush straight inside, you might miss out on being in Havana. Therefore, I suggest asking to get dropped off a few blocks early and take in the neighborhood. Central Havana, with its narrow sidewalks, bursting at the seams with tenements, and Caribbean street rhythm leave no doubt that you are in Cuba. The transition from this ambiance to the relative serenity and first-worldliness of La California is an abrupt contrast that is not easily found outside of the island. If you don’t want to abandon the neighborhood scene right away, get a window table you can dine at while watching kids kick around a soccer ball, old men hawking peanuts, and maybe even a couple taking their heated argument out to the street, airing their problems to the world. Now, all of this real life Cuba might make you think you should go for some authentic island cuisine, such as the ropa vieja or yet another roasted pork dish. However I strongly suggest you take a break from Cuban food because what La California does really well is pizza and pasta. 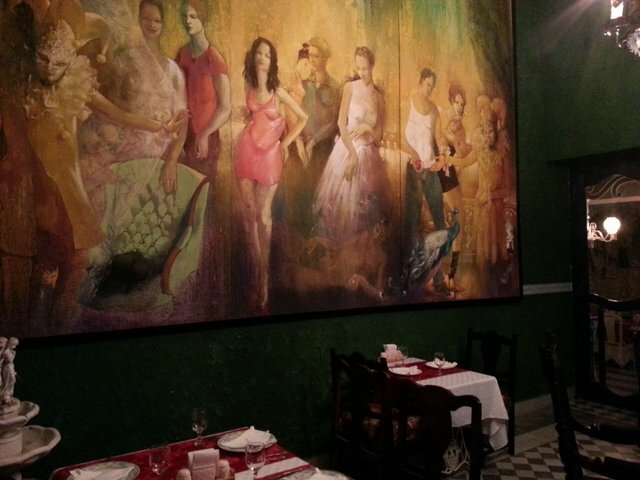 Like many private Cuban restaurants built to cater to customers with an international palate, La California has proprietors that have benefited by living out of Cuba for many years and have now returned some capital to their homeland to invest. Along with this capital also comes the skill of knowing how to do Italian food, starting from made in-house pasta noodles all the way to a wood-fire brick pizza oven imported from Italy. The pasta selection is not extensive, but covers the necessary bases. 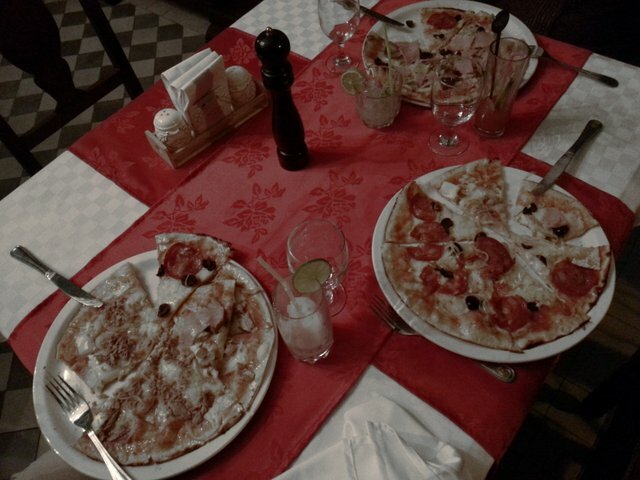 The pizza selection, on the other hand, is massive. Plenty of classic selections are available, in addition to some more adventurous Cuban inspired toppings that might leave you scratching your head (fried egg? canned tuna fish?). The pies at La California are much larger, and worlds better, than what you find being hawked on the Cuban streets. One is probably enough for two people. Just be careful to not fill up just on the pizza and excellent cocktails from the bar. You are going to want to leave room for dessert. The chocolate moose cheesecake is so good that it alone redeems the previous half-century of sub-par Cuban cuisine and will leave you ready to defend the island as a culinary tourist destination. The restaurant itself is expansive, with three dining rooms, each with its distinct décor, a bar that will make you think you are back in the 1940’s if it wasn’t for that high-definition plasma T.V. overhead, and a hidden away upstairs wine cave (huge selection for Cuba!) complete with smoking lounge and private dining. La California is located in Central Havana at No. 5 Crespo Street, between San Lazaro and Refugio, former home and rehearsal joint to Jazz legend Chano Pozo. Even though Chano is long gone, you can dine her daily, lunch and dinner. Reservations (7) 863 7510. Photos and text by Graham Sowa.